One of the most important and challenging aspects of running any commercial business is keeping employees, clients, and tenants happy. Air quality and temperature control are significant factors in achieving this state of contentment for the people occupying your commercial space. An excellent way to help ensure consistent comfort for your location is to have a commercial HVAC installed. There are all kinds of things to consider and worry about when maintaining a commercial property, there is no reason to add heating and cooling problems to your list. The experts at Air In Motion Heating & Cooling can help assess the best commercial HVAC unit for your space, to fit your air quality needs as well as your budget. For HVAC installation and repairs in the GTA, Air In Motion Heating & Cooling is an intelligent choice. Proper installation for your commercial HVAC unit is crucial in order to reap the ultimate benefits. 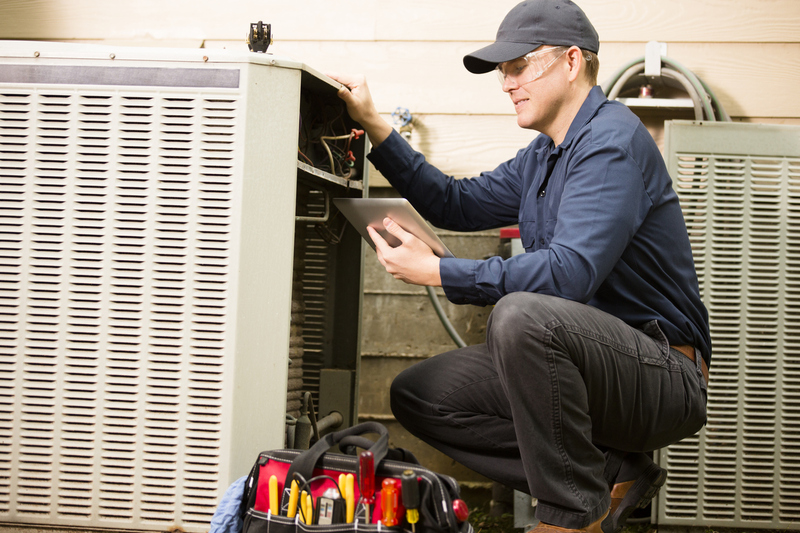 The HVAC technicians at Air In Motion are qualified and experienced, to make sure you get the best set up possible for your commercial HVAC system. Not only will the Air In Motion HVAC team provide skilled and seamless installation, they will also help you program the optimal settings for your environment. Regardless of how you are using your commercial space, a commercial HVAC unit can offer all kinds of advantages. It may not be something you often think about, but the method used for heating and cooling your commercial space can significantly affect your total monthly expenses. A failing heating and cooling system can add to your monthly headaches in the form of increased overhead and dissatisfied employees. Neither of which are helping your bottom line. And in the end, it’s all about the bottom line isn’t it? Have you ever tried focusing on a task in extreme heat or cold temperatures? It is not easy. The focus you should be putting on your work ends up being diverted to how uncomfortable you are. Comfortable employees are productive employees. In fact, several studies have been done to show that productivity increases considerably when temperatures are at a comfortable level. Air In Motion commercial HVAC installation will help keep temperature levels consistent and reliable throughout the entire year. Perhaps you do not have employees, rather you are renting out your commercial space. The same rules apply. No one will want to occupy your space if it is not comfortable. Even more important than employee comfort is employee health. Low quality air can lead to a variety of aliments for the people breathing it. If the air in the building is of consistently poor quality, it can turn into an epidemic in a hurry. The more people start to get sick, the more that number begins to escalate. This can happen with an actual cold or flu virus being spread around the office, or it can even be a mental issue where people just start getting sick for no apparent reason. Either way, it is not good for business. This may be one of the best reasons to go with a commercial HVAC installation. An efficient heating and cooling system can help reduce utility bills, while boosting employee production. There will be no unevenly dispersed heat with a commercial HVAC installation. Some traditional systems end up having hot and cold spots where one room is extremely hot, and the next room is too cold. A commercial HVAC unit will distribute hot or cold air uniformly throughout the building. Reduced energy usage is an excellent step towards going green. Many businesses are looking for feasible ways to reduce their environmental impact. A commercial HVAC installation carried out by Air In Motion experts is an environmentally friendly endeavor.